It’s totally my fault that there have been months without proper updates! I’m returning to my platforms now, letting you know all that it has been happening on my side of the fence. 2012 ended beautifully and I’ve accomplished some goals I wanted; nothing too huge, but important, nevertheless – specially setting my own place and settling down on a lovable way. It’s a nice house where I live with my boyfriend and our two cats, which are the fluffiest thing ever. EVER. 2013 is a challenging year, either personally and professionally speaking. I now bare new challenges at work and deal with more responsability, which, I hope, will lead me to other kinds of improvement. On the other hand, I’m exhibiting some photos on a bar in Oporto, called “Era uma vez no Porto” (translated to “Once upon a time in Oporto”) and have been given some feedback and some criticism – leading, again, to make room for further improvement. I’m hoping to shoot more, even if as a hobbie and, if I make some pennies out of it, the merrier. 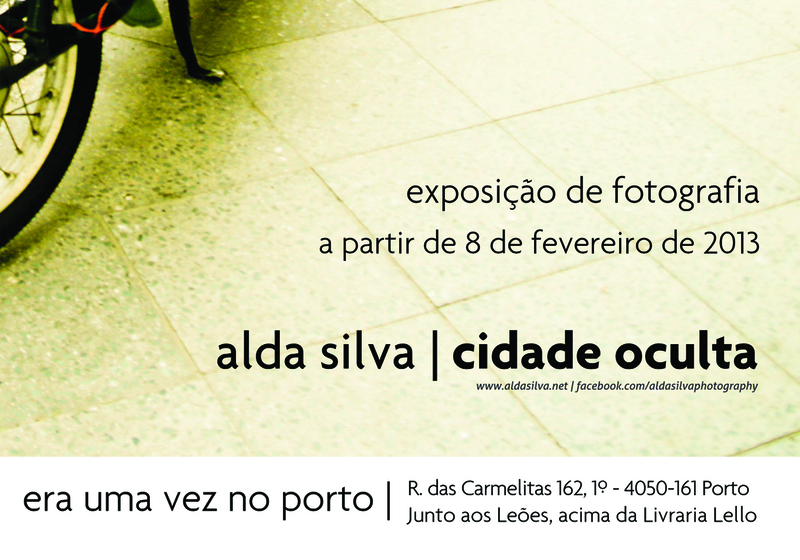 There is a new Facebook page in town: alda silva | photography. Visit it, like it and, above all, share with your friends. I’d appreciate it a lot. I’ll make giveaways and publish some works and interesting articles. Neat, right? It’s all for now, but I’ll come back soon – I promise.